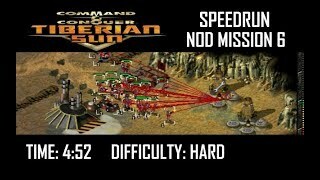 ﻿ SpeedRun Video - SPEEDRUN: C&C Tiberian Sun Nod Mission 5 (Hard). NO GLITCH. 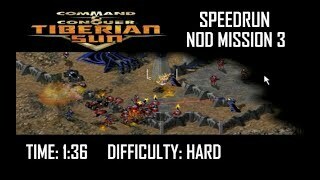 SPEEDRUN: C&C Tiberian Sun Nod Mission 5 (Hard). NO GLITCH. Time: 1 minute 23 seconds. 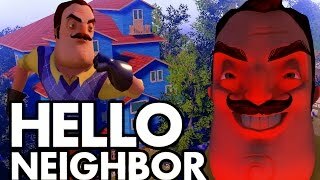 Game starts at 2:51. 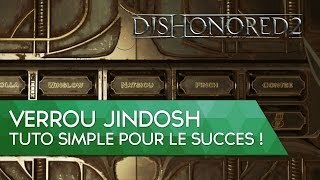 No lame alt+tab build glitch exploit. Objective: Destroy the GDI radar to cause a blackout. With Hassan out of the way, Nod is now unified and ready to take on GDI. 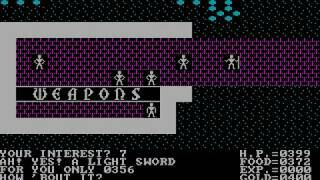 This is the start of the assault. 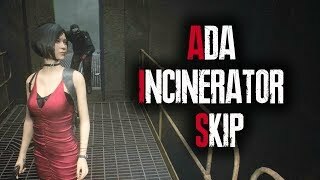 This mission is actually tougher than most others in the Nod campaign, however, it's very speedrun-friendly....And the next mission depends on what you do with the radar: destroying or capturing it leads to different variants. SPEEDRUN: C&C Tiberian Sun Nod Final Mission 17 (Hard). NO GLITCH. 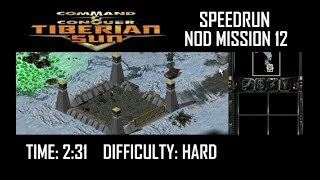 SPEEDRUN: C&C Tiberian Sun Nod Mission 3 (Hard). NO GLITCH. 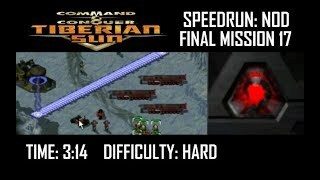 SPEEDRUN: C&C Tiberian Sun Nod Mission 12 (Hard). NO GLITCH. SPEEDRUN: C&C Tiberian Sun Nod Mission 9 (Hard). NO GLITCH. 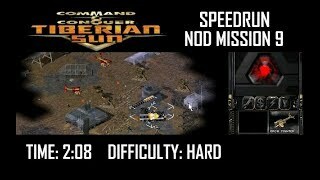 SPEEDRUN: C&C Tiberian Sun Nod Mission 6 (Hard). NO GLITCH.